It is hard to think of MILO without thinking of sports and general physical activities. In fact, if you close your eyes and think of MILO, you can almost see a green-jerseyed footballer or basketballer in your head. Of course, chances are you can also hear the famous clap. If only there was a time machine to take us back! But thankfully, we don’t need to go back. MILO hasn’t just grown, it has evolved. The taste remains great and the content even more nutritious while the commitment to sports and physical activities today is stronger than ever. In 1999 the first MILO Basketball Championship emerged attracting no less than 500 schools. Today, this number has rolled into more than 10,000 schools and the train is not slowing or stopping till every child is given a chance to be the best. MILO continues to strengthen efforts in making sure children from a young age are reaching their potential as they compete with each other thereby enjoying the benefits of physical and mental exercise. While the effects of exercise on the body is obvious to see, competing in a team helps children develop a mindset, the champion mindset. This mindset is ultimately, what MILO stands for. There is an African proverb that goes, ‘If you want to go fast, go alone, but if you want to go far, go together’. To find the truth in this, you only need to look at Nkechi Akashilli; a young Nigerian athlete we can all be proud of. She first fell in love with basketball from accompanying her elder sister, Sunnychi, to watch her play. Against all odds, she would grow up and unite with a team that will see her lead the pack to clinch victory in the 2009 All Nigerian Secondary School MILO tournament. From winning the 2009 MILO title, doors would open for her to participate in the World Secondary Schools Championship representing Nigeria in Argentina. After competing on the world stage, a teenage Nkechi would come back from South America to Delta State where she joined the Delta Force team. In the space of only two seasons, she would be poached to play for First Deepwater in Lagos. As you read this, conversations about Nkechi Akashili heading abroad to continue her sporting career is very much on the table. Truly, the journey of a thousand miles begins only with a step. In this case, that step was the MILO Basketball Championship. Through the years, MILO has had only one goal: to change the lives of children across the country by instilling in them the core values of leadership, discipline, determination and teamwork. By creating and expanding this Basketball Championship, MILO hopes to continue developing champions by instilling these values. This year is the landmark 20th anniversary of the MILO Secondary School Basketball Championship. 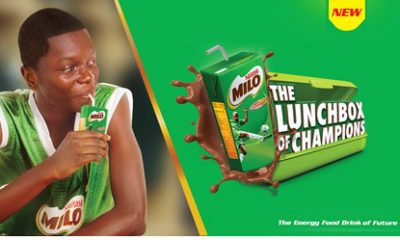 MILO continued in the tradition of excellence to empower future champions in Nigeria. On the 10th of May, a finale that saw champions in the male and female categories from the four conferences battle it out to win the highly coveted championship trophies was staged in the National Stadium, Surulere, Lagos. What ensued was a series of heated games ending with Father O’Connell Science College escaping yet again with the title of champion in a close game decided by a whisker’s breath of only one point against Gen. Murtala Muhammed College Yola, Adamawa State (60-59). 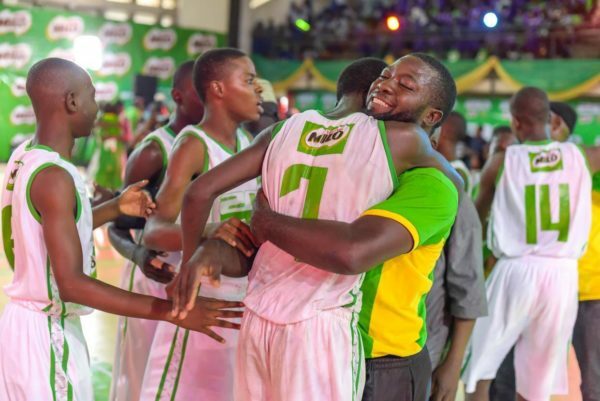 On the ladies’ side, St. Jude’s Girls Secondary School, Yenagoa, Bayelsa State defeated Yejide Girls Grammar School, Ibadan, Oyo State with a wider margin of 23-15 also retaining their title as MILO basketball champions. All winners up to third place went away with congratulatory cash prizes and their heads held high. The ever encouraging spectators were sure to have clapped their thanks to all participating schools and athletes. In these games, more than anything else, the spirit of competition and sportsmanship is what makes champions. Until next year when the tournament will hold again, players and spectators alike will have to wait it out. The players will be working on their skills off and on the court, the spectators, savoring the memory of what was a monumental final. “MILO! *clap*, *clap*, *clap* [half a second pause] *clap*, *clap*, *clap*, *clap*, MILO!”.